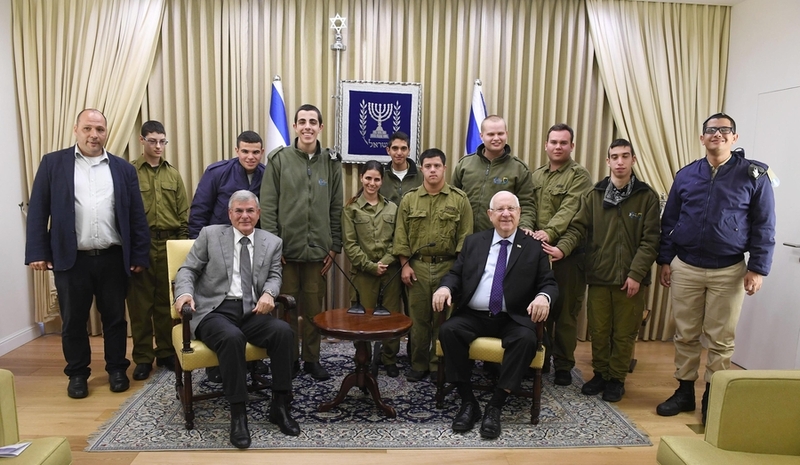 JERUSALEM, ISRAEL, December 25, 2018 /24-7PressRelease/ — Israel’s President Reuven (Ruvi) Rivlin hosted a delegation of young men and women with special needs who volunteer in the IDF’s Special-in-Uniform program in his Jerusalem residence. Special in Uniform is a unique program established by Lend-A-Hand to A Special Child in cooperation with JNF-USA whose goal it is to recruit youth with disabilities to the IDF and enable them to reach their full potential and contribute positively to society as volunteers and soldiers in Israel’s Defense Forces. Since 2014, the program has successfully integrated over 650 adolescents with special needs into 35 military bases around the country. Program members contribute in meaningful ways to the IDF by carrying out a wide variety of activities that correspond to their unique abilities. 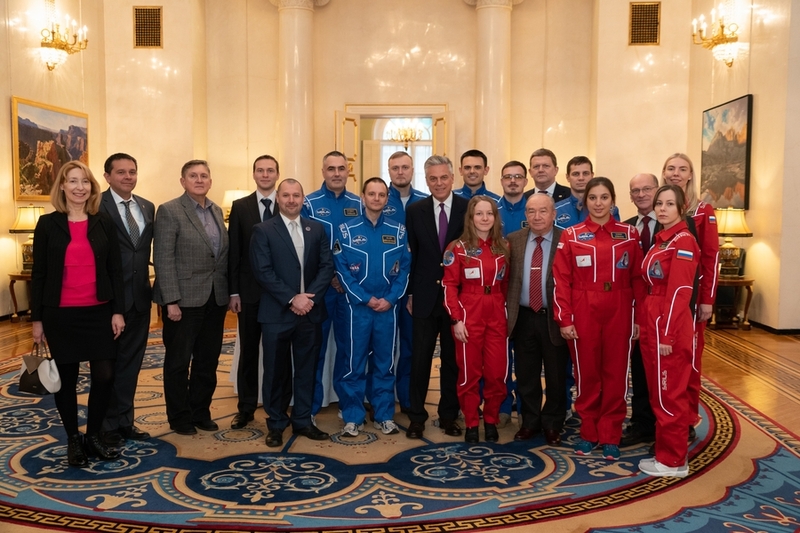 Throughout the period of their military training and service, the youths are supported by a professional faculty from Lend-A-Hand to a Special Child. Chairman of Special in Uniform Major General (Res.) Gabi Ophir and representatives of Lend-A-Hand to A Special Child escorted the volunteers and their coaches to today’s event in the President’s Residence. Special in Uniform is an innovative program that integrates youth with disabilities into the Israel Defense Forces (IDF) and helps prepare them for careers following army service. The program was founded to give everyone a right to fulfill their potential and be accepted into society, regardless of any disability. Special in Uniform goes beyond the walls of IDF bases, helping its graduates integrate into the workforce and Israeli society in meaningful ways. PreviousLet kindness and selfless services, be one of the resolutions, this New Year.